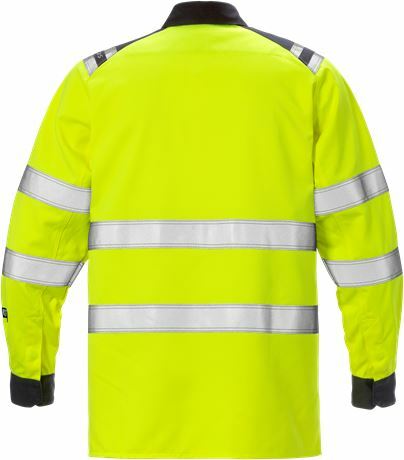 High vis certified shirt with inherent flame protection adapted for ATEX environments with no metal details. Approved for industrial laundry. 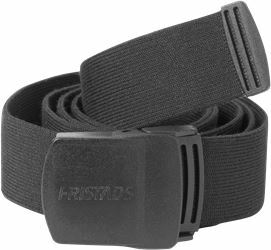 Material: 54% modacrylic, 44% cotton, 2% anti-static fibre. 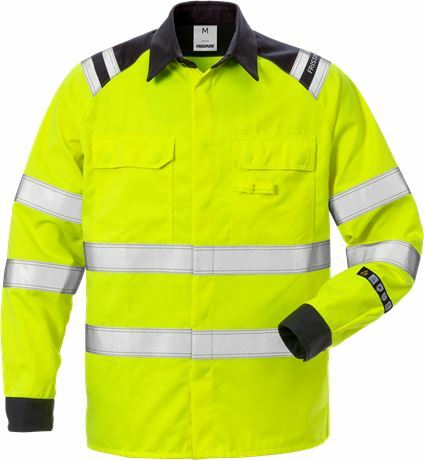 Reflective detailing on shoulders / Concealed snap fastening under front placket / 2 chest pockets with flap and concealed snap fastenings, 1 with pen loops / Cuffs with concealed snap fastening / Extended back / Side slits / Metalfree garment / Approved according to EN 61482-1-2 class 1, EN 61482-1-1 EBT: 9,9 cal/cm² HAF: 78,0% (see Electric arc table for certified garment combinations for EN 61482-1-2 class 2 and open arc according to EN 61482-1-1), EN ISO 11612 A1 A2 B1 C1 F1, EN 1149-5, EN ISO 20471 class 3, EN 13034 Type PB  / Leasing laundry-tested according to ISO 15797 / OEKO-TEX® certified.